Increasingly, over the years, security has become an important part of our lives. Small to large organisations need photographic ID to secure their premises. When it comes to ID CARDS, Photo-DATA has the solution. 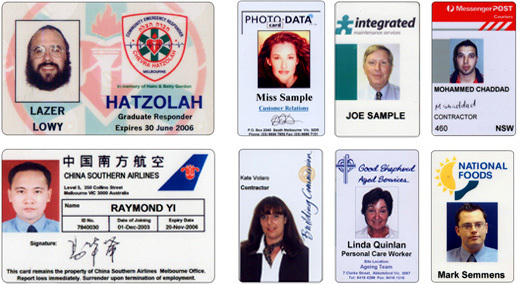 We provide ID-CARDS from as few as 1 to many thousands. We have the latest technology in ID–Cards with sharp resolution detail images and variable data such as Name, Title, Expiry date, Numbers and Signature can be printed onto the plastic CR80 ID-card. Any type of character, picture or Company logo, barcodes and Magnetic Strip can also be applied.